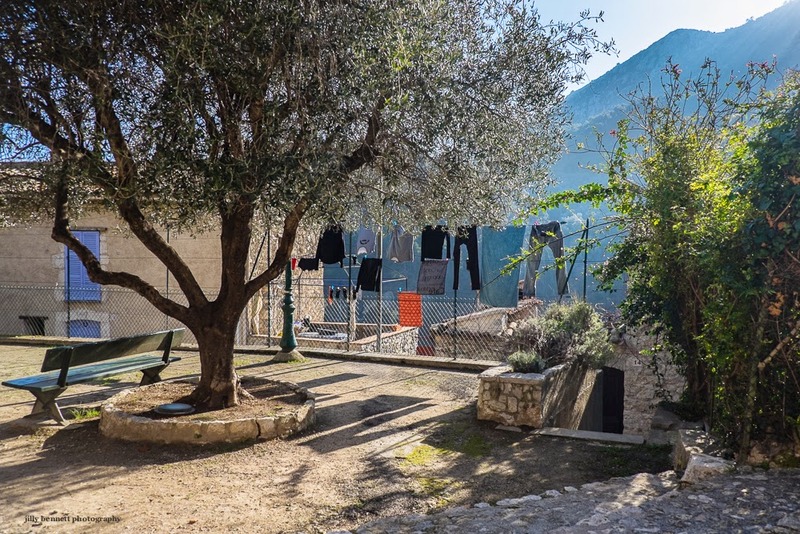 Washing on a wire fence, a bench under an olive tree, shadows from the late afternoon sun - this is February in the square at the top of Gorbio village. Du linge sur un grillage, un banc sous un olivier, les ombres du soleil d'après-midi - c'est Février sur la place en haut du village de Gorbio. We remember the place. It's a reminder that Gorbio is a living village, not a museum and not a theme park. I like the look of the yard, particularly the old stone. No doubt the clothes come out feeling fresher that way than going through a dryer.